Mister Sunday is the cousin of Mister Saturday Night. He wears sunglasses and likes to hang out in the great outdoors. Preferably in the sunshine. 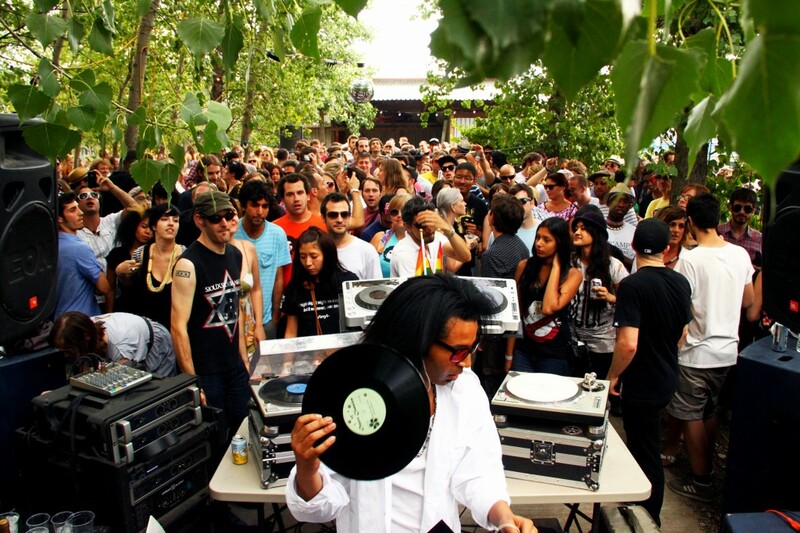 The seasonal party takes place at Gowanus Grove – a lush, unique slice of landscape situated next to the increasingly less infamous Gowanus Canal. We haul out our big blue soundsystem, get some amazing local food vendors, set up a bar (the sangria is perfect) and offer a truly positive and joyous experience on a Sunday afternoon. Young folks, older folks, and animals of all shapes and sizes come together to enjoy the good company, and since we start at three and end promptly at nine, there’s plenty of time to enjoy the whole shindig and still have time to get some sleep. Or to put somebody else to sleep. Or to look for another place to dance.